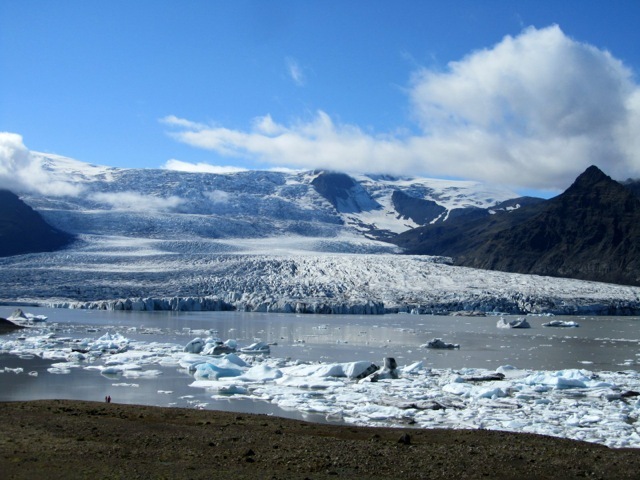 Specialising in expertly organised small group holidays Svava draws on the experience of her Icelandic mother who has been organising and conducting tours to Iceland for over 30 years. We start the day with a morning yoga class and then a full itinerary of excursions exploring the natural and stunning beauty of Iceland.We have our own coach, guide and driver, rooms are en-suite in excellent hotels with three course evening meals and fantastic full buffet breakfasts. Iceland is a nature lover's paradise; pure air, glaciers, hot springs, dramatic coasts, waterfalls, lava fields, mountains, volcanic craters and long hours of daylight during the summer weeks.Iceland also has a rich cultural heritage and there is plenty to suit all tastes in the capital of Reykjavik; cosy cafes, great galleries and museums, geo-thermal pools and hot tubs, a bustling harbour, restaurants, bars and stylish shops. All photos are taken by Svava or other group members on previous tours. The seven night yoga holiday tour explores the Snaefellsnes peninsula, in the west of Iceland. This peaceful and magical area of Iceland offers a sample of many of the things that make Iceland so special. Each day has a full itinerary; boat trips, museum visits, coastal walks across lava fields, dips in geo-thermal pools and coming up close to spectacular waterfalls and spouting geysers. We tour around the coastal ring-road of the Snaefellsnes peninsula staying at the foot of the Snaefellsjokull glacier topped volcano and in the charming fishing port of Stykkisholmur. We also spend several days in the vibrant capital of Reykjavik. Each day begins with a yoga class led by an inspirational and experienced Iyengar yoga teacher. The daily yoga classes on previous holidays have been taught by Ros Bell and Fran Nixon and the holiday is organised and hosted by Svava Sparey, who is also an Iyengar qualified yoga teacher. Non-yoga participants are welcome as we organise the holiday with a yoga class before breakfast so that we are ready to set off for the days adventure by 10am. For more information contact Svava 074285 67911, svavasparey@gmail.com or complete the enquiry form below.